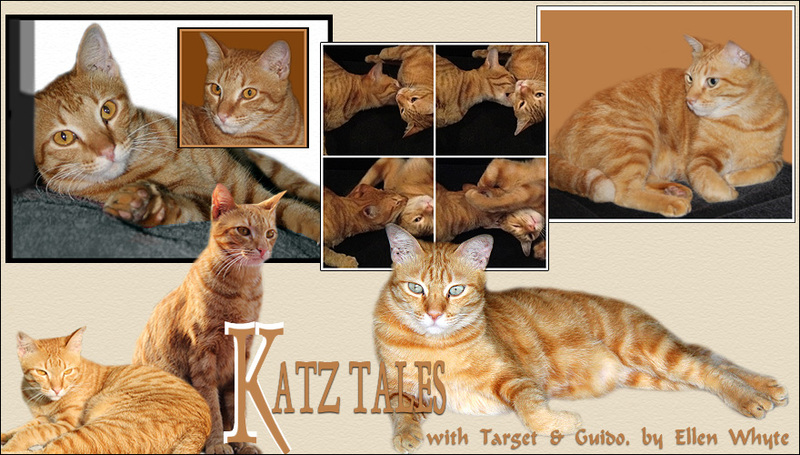 Katz And Other Tales: Guido: Claim Your Pet! Dang! Maybe it was just a bad dream! We has noticed the same with our pets! What is worse...our pets has made friends with all the OTHER cats and Dogs on the street! We has started to make pets out of Clowie's human! Make sure you wash thoroughly before spreading the fur around, Guido, so there is a double hit of your scent all over the humans! Good advice! You are so adept to be able to train your 'beans the way you have. WHAT!! You need a shorter leash on that pet, my marmalade pal. Once they start making goo-goo eyes at other kitties you're in danger of a SIBLING. I would recommend microchipping both of them. Also send them for the full panoply of vaccinations, since they've already shown the unfortunate tendency to behave indiscriminately with other cats. Finally, shredding their favourite belongings when you think they're out cavorting is an excellent deterrent to this sort of behaviour. Good luck! I LOVED Bookface's comment. LOVED it, Guido! GREAT idea. Let us know what you decide! Oh and your mom mentioned the temp there. That is 100 f here...and we will be having that by July here. Glad you caught your pets' unacceptable behaviors! It's good that you take measures by spreading your beautiful furs! Whaaat!!! They have betrayed you by squizzling others and the come in smelling of...DOG!!! THAT IS TERRIBLE! Oh no. That is awful news! Take care with this. It could get bad. My cats fully agree with you ! It's a shame that the pets are not happy to serve breakfast at 3 am, they think it is a reasonable time for breakfast ! Our humans, however well-trained they are, always seem to pay attention to other kitties and woofies. What is UP with that? How dare they! Keep them in check, guys! Follow them everywhere, including the toilet. Lie in wait for them at the bottom of the stairs. Meow sadly when they try to leave the house. Oh, you're already doing all that anyway! We lick the other smells off. Whoa! I’ve given TW permission to feed some homeless cats in the park. It wasn’t easy but I funally gave the OK since I’ve been winning some food I don’t really like. Oh dear! You do have a big problem! Our mom isn't faithful to us either and it seems she can't keep her hands off anything soft, warm or purring. In fact, it doesn't have to purr! 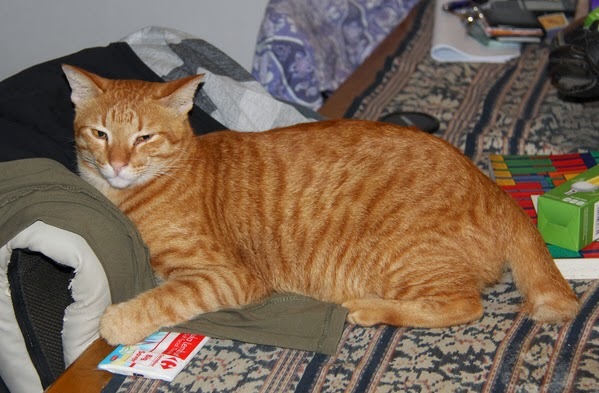 Keep up the good work furring up the Pet's clothes, Guido! We thinks you are doing a great job with the training! Hi Guido & Target! We have been thinking of you! Have you been misbehaving and having fun? Ours is hopeless she pets anything with 4 legs. Way to go! Leave no doubt who the Pet belongs to! OMC the utter betrayal right!?! But at least your Pet came home to mew and didn't get lost or lured away... so it could have been much much worse. "Clearly the word has gone out that there are two well trained Pets here and now efurryone is after them." Ha! I think that's what my two must think when I come home smelling of other animals! Ruckus sends his love to your kitty! MY pet (and only one) is a PUSHOVER when it comes to other kitties. A veritable PUSHOVER!